Once you have an understanding of what a companion urn is – a.k.a. double urn, urn for two people, couple’s urn, etc. – you will want to choose the type of companion urn that you find the most beautiful and suitable. So below we detail the 11 types of companion urns you need to know about. These include material types, designs specific to companion urns, artistic and personalized options, and more. Please note that each product listed here is from one of our associates, so we may receive a commission should you choose to purchase one of these items. 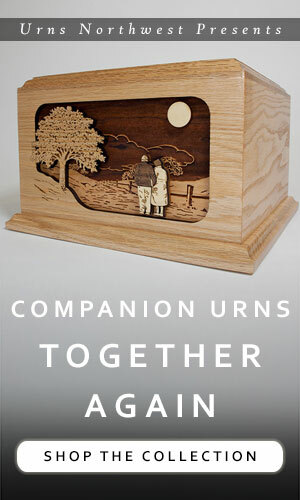 Wooden companion cremation urns exhibit a rustic, earthy sensibility. 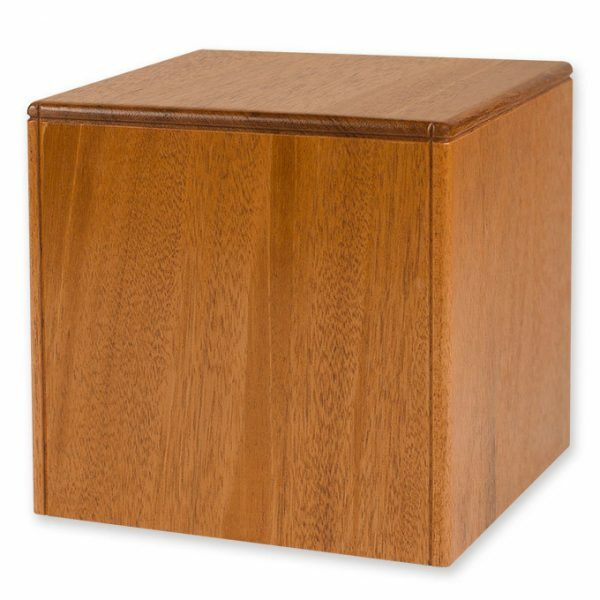 Often rectangular boxes made in popular woods like walnut, cherry, cedar, oak, maple, or mahogany, these urns look somewhat like memory chests but open from the bottom. Typically, with wood companion urns, the bottom panel is attached using four to six screws. This prevents accidental access to the remains which might be possible if the box had the traditional hinged lid of a keepsake or memory chest. 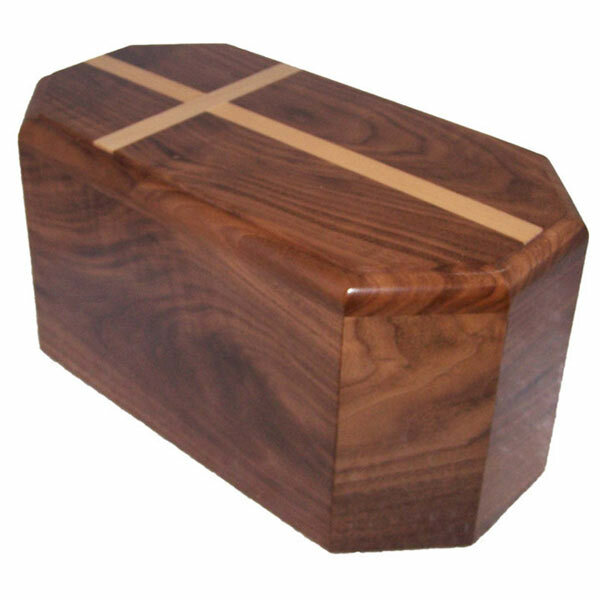 There are some cheaper urns made from veneers, often imports. 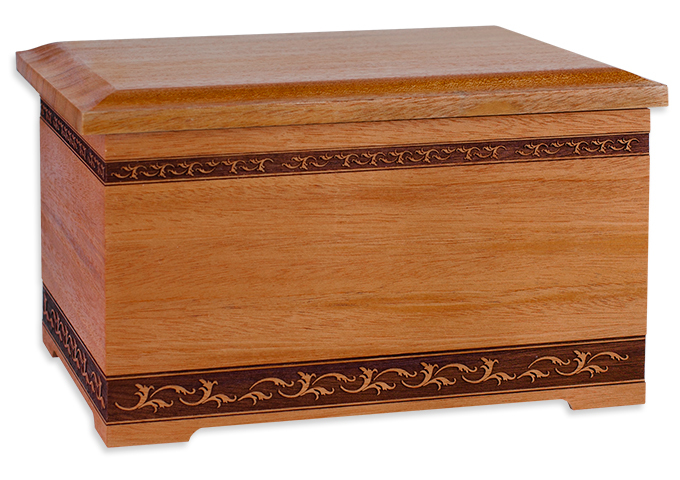 We prefer urns made from real wood, crafted in the USA. These will hold up for years much like classical antique wood furniture. Age will actually improve the look of authentic wood memorial urns, ensuring that the memorial becomes a truly treasured heirloom. Here are a few examples of wood companion urns. Browse more wood companion urns here. Companion urns crafted from metal are attractive in a pristine, sleek way that communicates stateliness, strength, and dignity. Metal urns typically come in two styles: square or rectangular designs with flat surfaces, or vase-shaped rounded vessels that often include ornate embellishments. Specific material types include brass, bronze, pewter, and aluminum. Here are some examples of metal companion urns. The Solitary Companion Urn is a beautiful and premium bronze urn with plenty of space to add customized laser engraving of name, dates, and more. Also available in a variety of sizes for an individual or for sharing keepsakes. Here we see a traditional vase shaped metal urn that is large enough to hold the remains of two adults. An elegant carving surrounds the top and bottom rims of the urn, and matches the lid. Most stone-based companion urns are made from “cultured” (i.e., man-made) materials. Cultured granite, cultured marble, and cultured onyx are some of the most popular varieties. Far less expensive than natural stone, these urns are crafted in a mold in both rectangular and rounded vessel shapes. The advantage of stone companion urns is that they can be buried without the need for an additional outer vault. Since the material won’t decompose or biodegrade, most cemeteries allow the direct burial of cultured marble, granite, etc. urns. 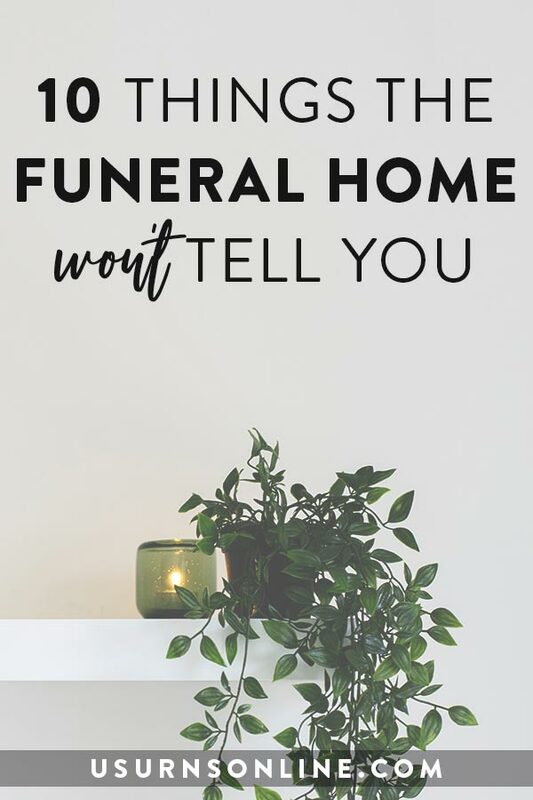 You’ll even find that these types of urns are called “vaults”, which is an allusion to the burial vaults needed to protect the cemetery grounds. 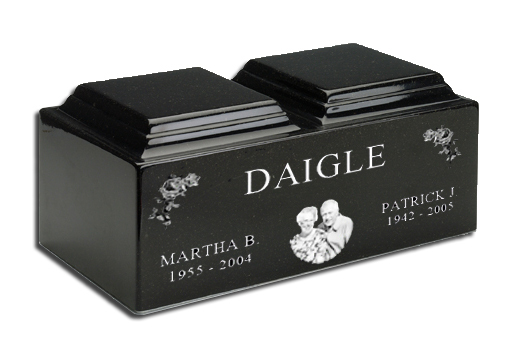 Made in the USA from cultured granite, this companion urn has two compartments to hold the remains of a devoted couple together in life and together in death. Includes custom etching of a photograph along with names and dates. 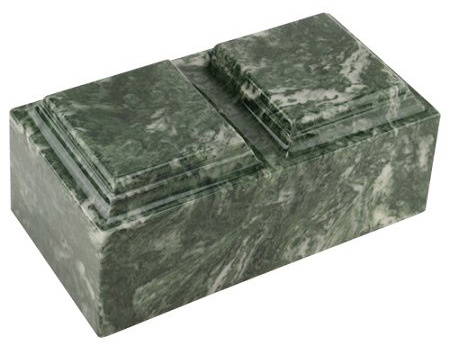 Cultured marble urns are available in a wide variety of colors. The size, shape, and swirls of marble exhude stateliness, security, and durability. Ceramic companion urns are handcrafted pottery vessels with enough capacity for the remains of two people. 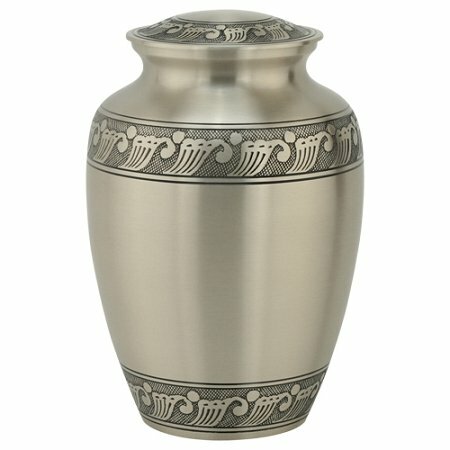 Elegant in shape, unique in finish, and available in an array of styles and themes, ceramic is a most beautiful choice for a memorial urn for two. 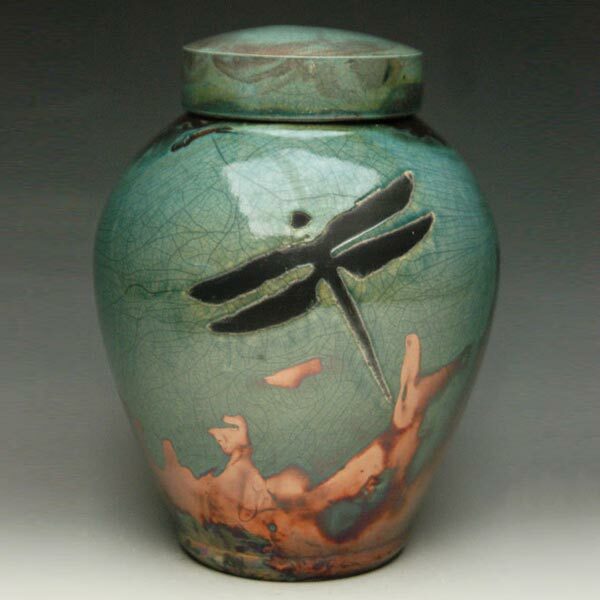 The above design, a Dragonfly in Raku style, is one of many options available. 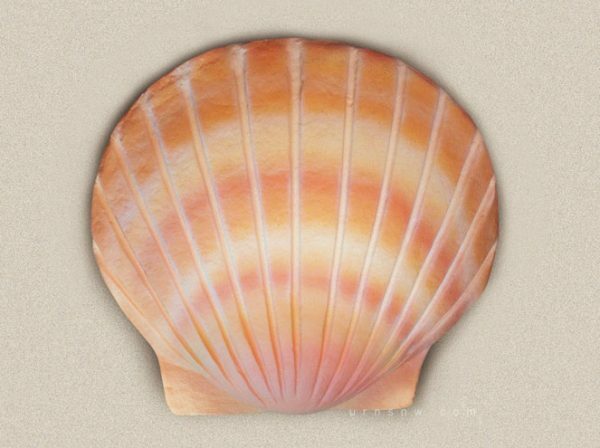 Browse more ceramic cremation urns here, most of which are available in companion sizes. 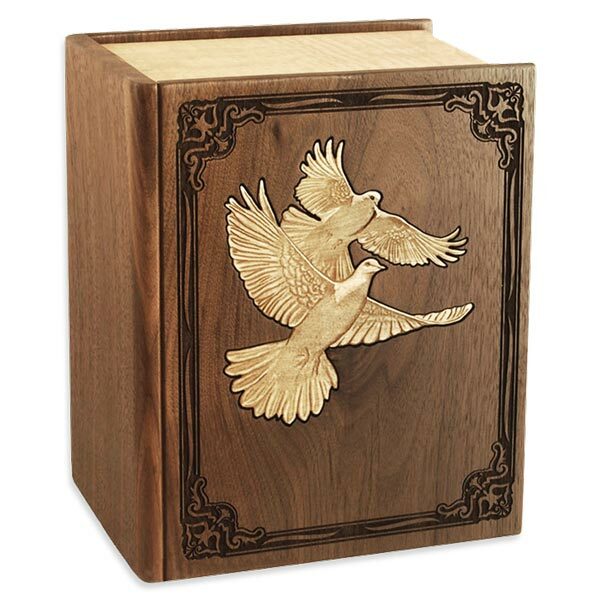 This is the companion urn size of our best-selling flagship collection of premium wood cremation urns. 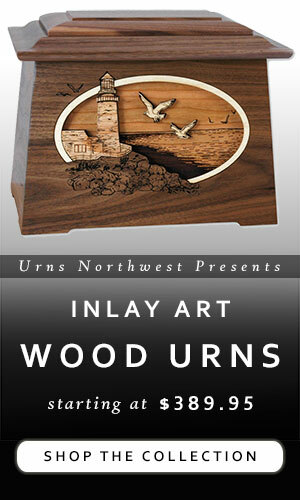 Each piece is a work of art, made to order in the USA in an Oregon woodshop. The calming rustic feel of each art design is creating using layers of geniune solid hardwoods in their natural colors, set in three dimensions to create a scene of depth and beauty. 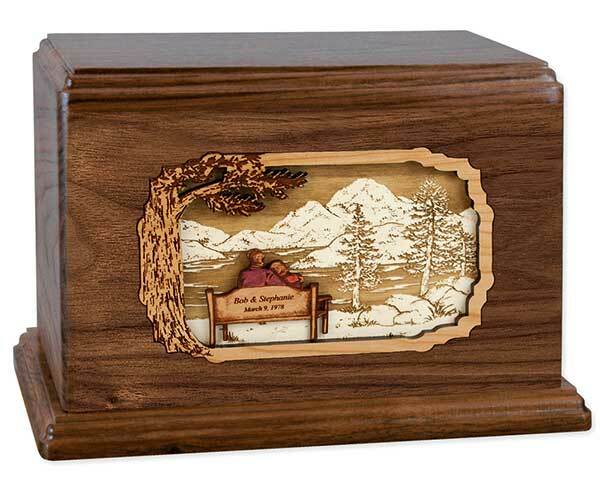 Above you see our “Soulmates” design, a wooden companion cremation urn featuring inlay art of two people sitting on a bench by the side of a scenic mountain lake. The piece includes personalized laser etching of the couple’s names and wedding date on the back of the bench. The “Soulmates” is just one of many inlay wood art art designs. 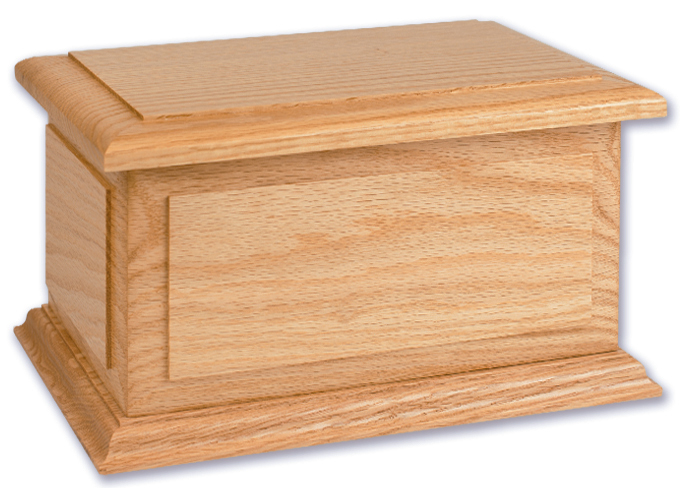 The companion urns themselves come in your choice of solid wood: Walnut, Mahogany, Maple, and Oak. With more than 50 scenes available, including lighthouses, butterflies, golfers, farms, truck drivers, old country lanes, rustic cabins, and more, you will surely find something that represents the love of your life and a snapshot of your journey together. Please note that, if you do not see the wooden inlay art scene you like in the companion urn size, contact us and we will make it for you. All of the inlay art scenes are available in companion size. 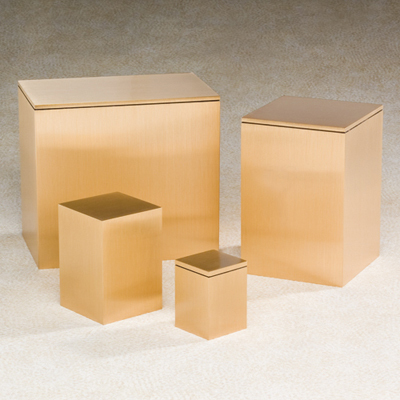 Companion urns do not have to be simple shapes like boxes and vases. There are all sorts of carved, cast, and manufactured sculpure art pieces in a wide variety of themes and styles. Here are a few popular choices. This is a wooden sculpture crafted from walnut and maple wood into the shape of a book. The book cover is genuine dark walnut wood, and the “pages” are laser etched with realistic effect and made from maple. Maple wood lovebirds are also featured on the cover as an inlay, representing the love you shared together. This “Swan’s Embrace” scupture is made from brass, and each swan urn holds a traditional 200 cubic inches of cremated remains. This means that the pair of urns together equals one companion urn. 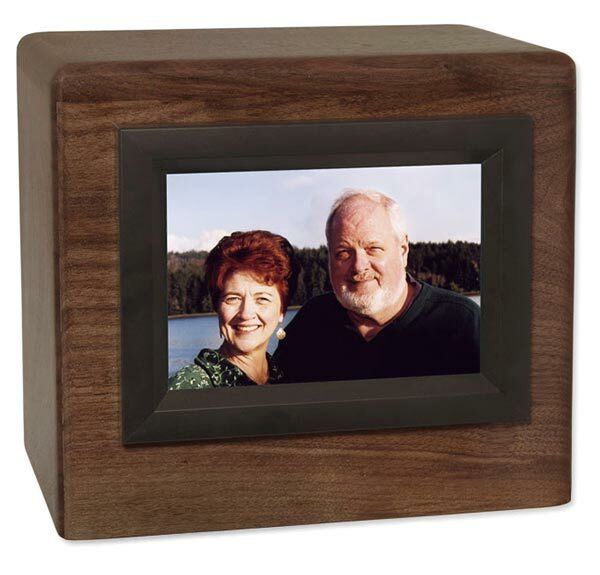 We have already showcased our popular granite photo companion urn above. 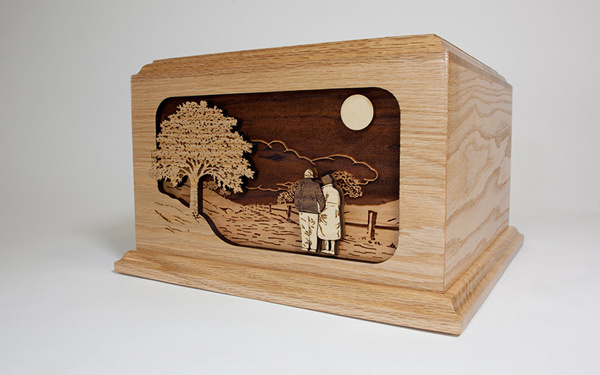 We also offer some beautiful photo-etched wooden urns, truly stunning memorials. Another option is a photo frame urn. This is a great choice because it allows you the ability to change out the photograph if you wish. These are one of the most unique types of companion urns. Crafted individually by hand from a single block of wood and hand-turned on a lathe, each urn is a one-of-a-kind work of art. Above we show the “Tranquility” urn. You can browse all of our hand-turned companion urns here. Biodegradable companion urns are eco-friendly vessels that allow you to bury or scatter the remains out in nature. 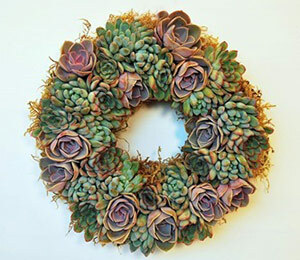 They are made from natural materials that will decompose over time, returning your loved ones’ remains to the earth. There are companion urns for ground burial, scattering, and burial at sea. A funeral home or columbarium niche limits the dimensions of the companion urn. We can make several types of urns to order for many niches, including wood, ceramic, and glass companion urns. For smaller niches, you will want the most economical use of space. 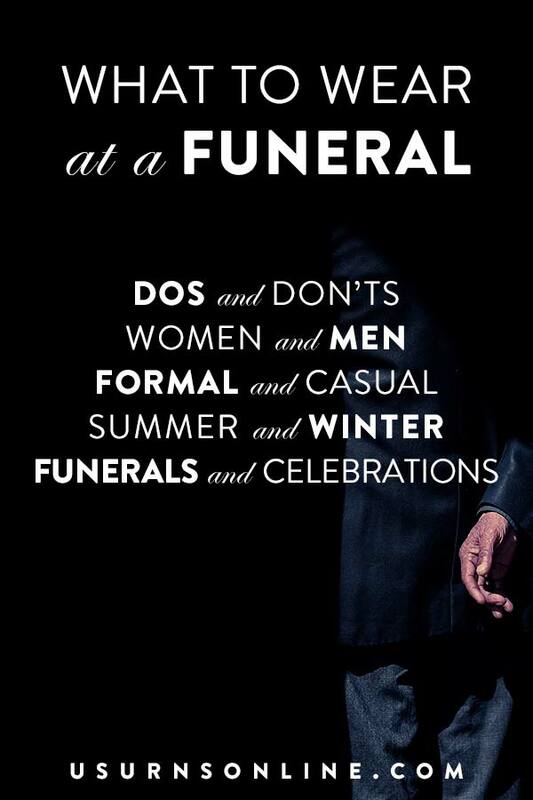 We have urns for that situation, too. 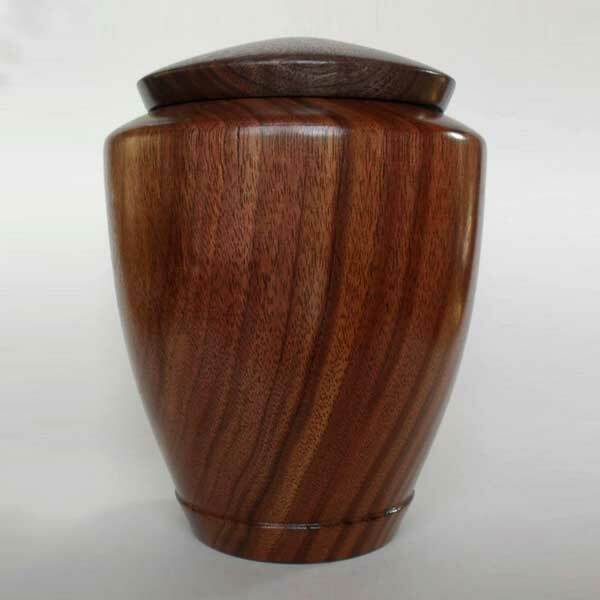 The companion urn pictured above is solid wood, shown in Mahogany but also in Natural Cherry and Oak woods, made in the USA. Designed specifically for the strict niche sizes at Arlington National Cemetery, it is a common size that will work for many standard niches. 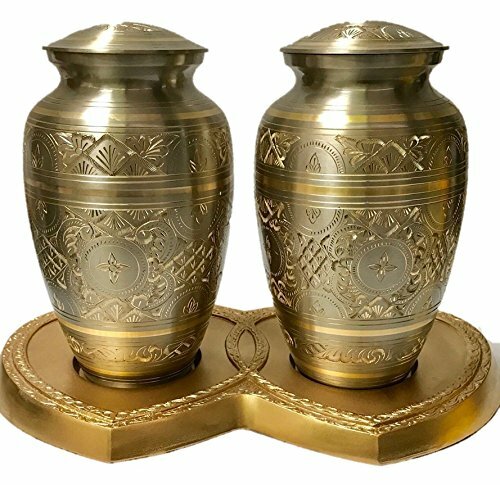 A final option for a companion urn is to get a matching set of two identical or complementary standard-sized cremation urns. Technically, this wouldn’t be a companion urn, but many people find that the matching set of urns allows them to express their individuality and unique life while still affirming the love and commitment shared with the most special person in their life. 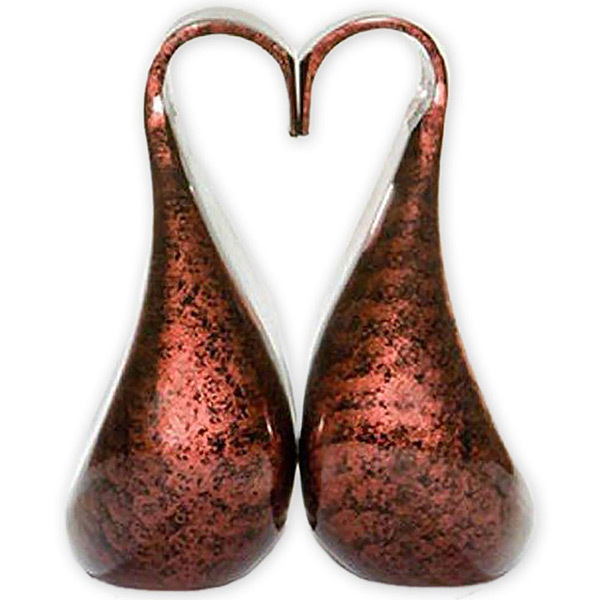 As you can see, there is a wide variety of types, styles, and designs for companion urns. We hope this article helps you find the perfect one for the two of you to rest – together forever – side by side in a way that is meaningful and special to your family. Mailbag: Can You Make a Companion Urn to Fit Into a Niche? My dad is getting to the point where we don’t know how much longer he’ll be around. He has talked to us and said that he wants to be cremated. One of the things I like about cremation is that you can personalize the urn that the ashes come in. If I had to choose one, I think he would like the eighth one. It is a very aesthetically pleasing to look at and would look nice up on the mantle.